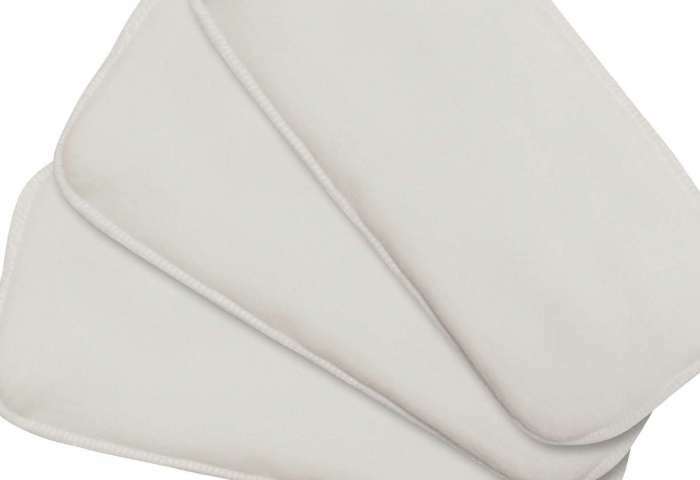 Our Premium All-in-Two Diaper Inserts have 4 layers of very absorbent microfiber and are topped with a super soft no-pill fleece to pull wetness away from your baby’s skin. 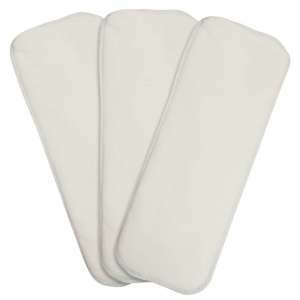 Because the Premium All-in-Two Diaper Inserts snap into the diaper cover, they will not shift when worn. 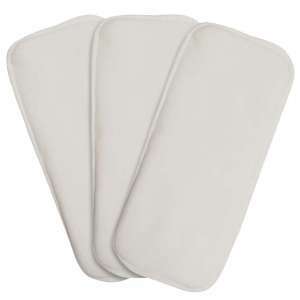 Our Premium All-in-Two Inserts come in two sizes and fit babies from approximately 8 pounds through 35 pounds. Cloth diapering with All-in-Two Inserts is a snap! Click here to learn how!